On a quest to promote a greener workplace and environment, Alsco is excited to share with you a story of a company that wants to make a difference by providing environmentally sustainable packaging. The Spotlight is on BioPak. 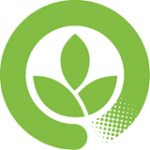 BioPak is an Australian company with a singular focus on plant based single use food service disposables. They offer different eco-friendly and plant-based packaging products that the food service industry can use for their business. Find out how Richard Fine come up with the idea and how BioPak can help businesses go green. 1. How did BioPak come to life? 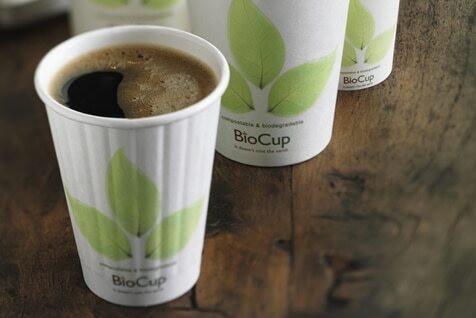 After reading an article in the local newspaper about a company that was fined for using polystyrene cups, I decided that there had to be a more sustainable alternative and that is when BioPak was founded. 2. How do you think BioPak can make a difference? We have made a difference by educating consumers about the environmental impact of single-use disposable packaging and providing more sustainable plant-based alternatives to plastic single-use food service disposables. We also measure and offset the carbon emissions associated with the production and distribution of our products. 3. How do you make things lighter or hassle-free when you manage your business? We have invested significant resources in developing an ERP platform that allows us to efficiently manage all business processes. It allows us to leverage technology in order to streamline our operations and offer exceptional customer service. 4. Why do you think sustainable packaging is better than using plastics and non-recylable food packaging? Plant based compostable single-use disposable food service packaging provides the option of diverting organic waste from landfill. Often plastic packaging cannot be recycled due to food contamination. Using fossil resources to produce single-use disposable packaging is neither sustainable or environmentally friendly. 5. How do you attract customers to use BioPak? A big part of our marketing efforts are focused on educating consumers about the environmental impact of using fossil resources and single-use disposables. We design our aesthetically pleasing and innovative products that seamlessly replace regular plastic alternatives and our exceptional customer service adds significant value that offsets many of the additional costs associated with plant-based packaging. 6. Aside from using sustainable packaging, what other green choices can you advise to business owners? Being more sustainable often translates into being more efficient and this saves money in the long run. There are so many areas where business can reduce waste which ultimately reduces costs. 7. What’s the best experience you have in the business so far? Watching the BioPak grow from an idea into a successful business has been very rewarding. I am particularly proud of being part of an organisation that has initiated a paradigm shift in the products business choose for their food service disposables. In 2011 BioPak was ranked the 8th fastest growing company in Australia, this was an honour and significant achievement in the life of the company. 8. What’s that one thing in your business venture that you’re really happy about? I’m happy to have the opportunity to work with a talented business partner and a team of passionate and dedicated people without whom none of this would have been possible. 9. If Alsco is to offer your business a 1-year full service of one of our products, what would it be? And why do you like it best? 10. What’s that one Alsco product/service that you really really like? Alsco would like to thank Richard Fine of BioPak for sharing their story on how they became successful by just keeping the environment clean and healthy – their mission is to provide the highest quality and most environmentally sustainable packaging. Do you know that organic and natural products are the latest restaurant trends? Check out this article. Alsco does not only focus on going green but also the safety of every organisation, company and clubs. Alsco presents its First Aid service – we are devoted to promoting safety and health at the workplace through greener services. Call us now for more information – 1300 659 892!